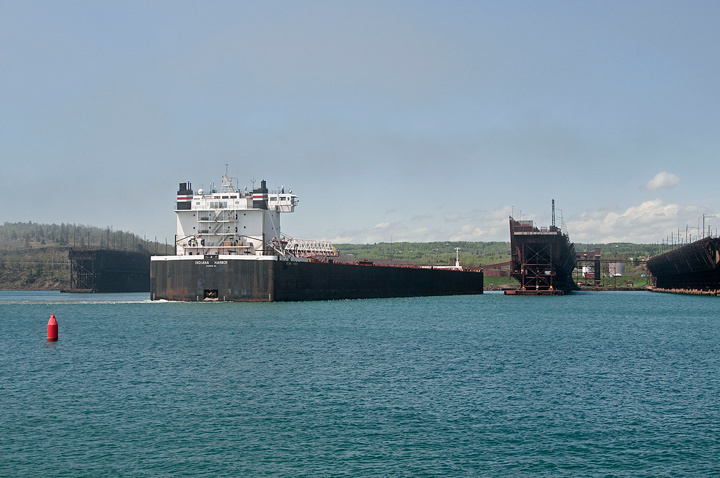 Every time we drive up the Minnesota North Shore we stop at Two Harbors to see if there is any ship activity. A couple of weeks ago we lucked out. 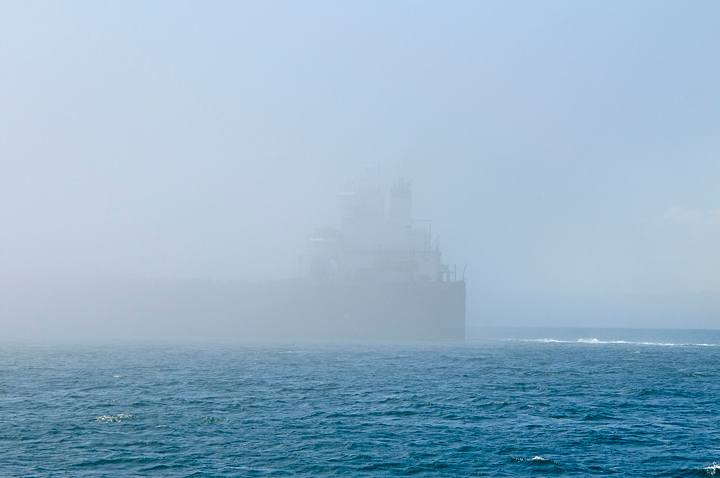 It was a foggy morning and just as we pulled into the harbor parking lot we saw the Edger B. Speer backing out of the docks. 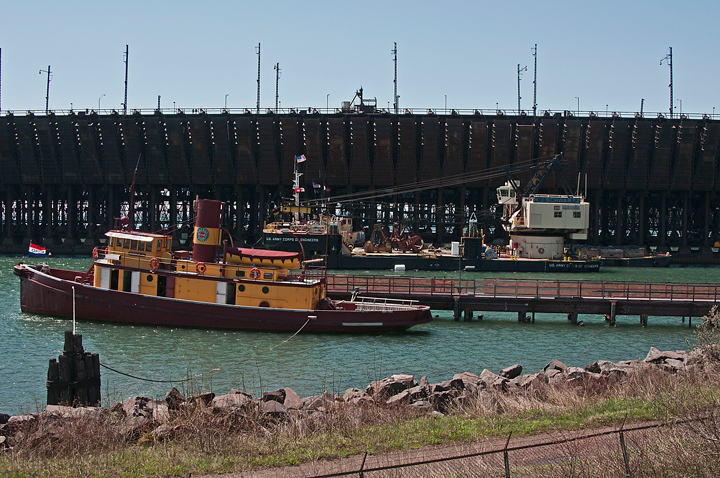 The first time I saw ships coming into Two Harbors I thought tug boats would be required to move them into and out of the harbor. I was wrong. 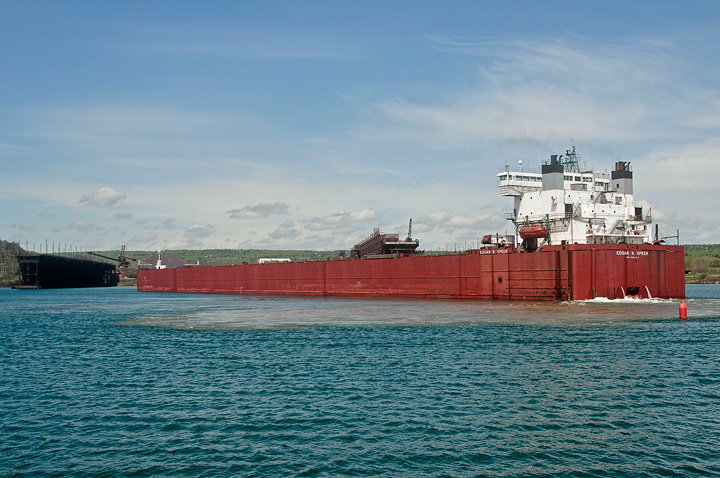 Even the thousand foot ships are able to maneuver into and out of the docks without assistance. It does take them quite a while but they are routinely able to do it without problems. We watched the Speer exit the harbor into the fog. The Speer kept blowing its fog horn and we could hear an answering response from out in the lake but, because of the fog, could not see another ship. We waited a while hoping the other ship would come into the harbor before deciding to drive back to where the Edna G tugboat was docked and photographed the Army Corps of Engineers dredging the docs. We decided to drive back to the harbor and see if the ship that was waiting outside the harbor was going to come in. 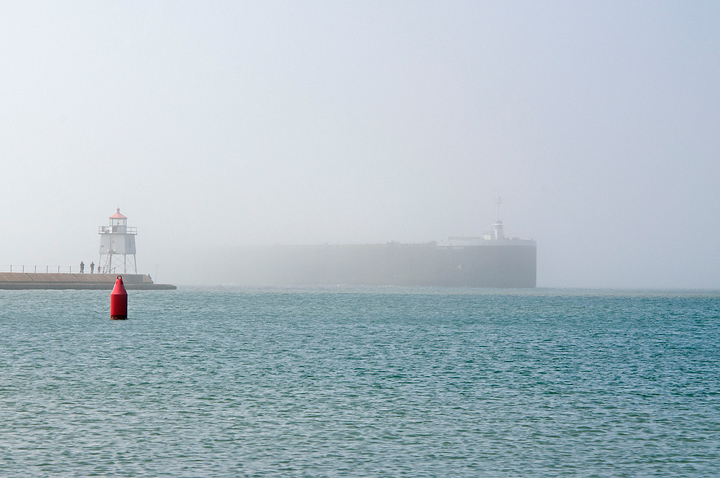 Just as we drove past the fog cleared enough so we could see the Indiana Harbor steaming into the harbor. We walked down to the water’s edge and watched it maneuver into the dock area. It is a slow process for one of these large ships to work its way into the docks. 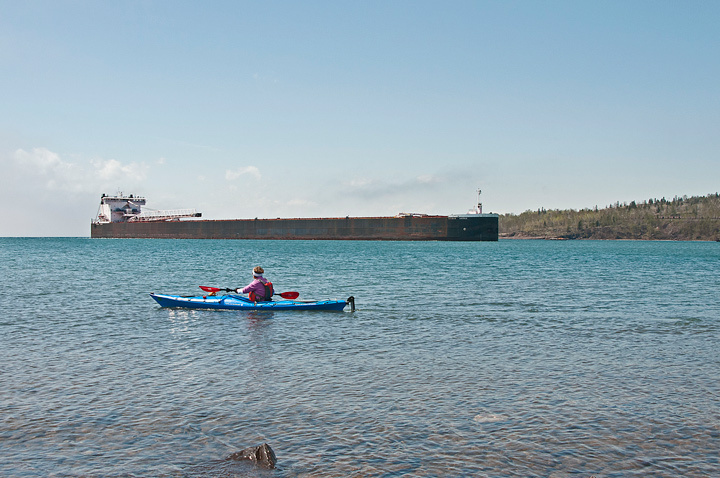 A lone kayaker was out in the harbor watching the ship come in. 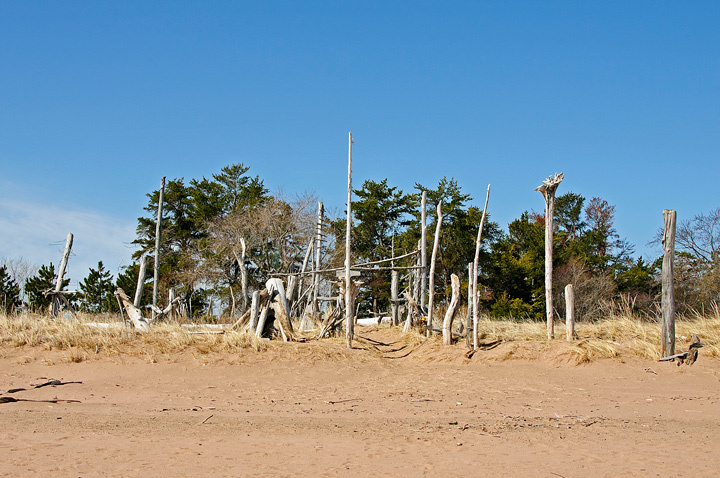 On a beautiful spring day my wife and I decided to take an early morning walk along the Park Point Beach. The beach is about seven and a half miles long and when combined with the Wisconsin Point beach comprises the longest freshwater sandbar in the world. It wasn’t surprising that there were quite a few people out walking. Duluth had just gone through the snowiest April on Record and this was one of the first nice days of spring. 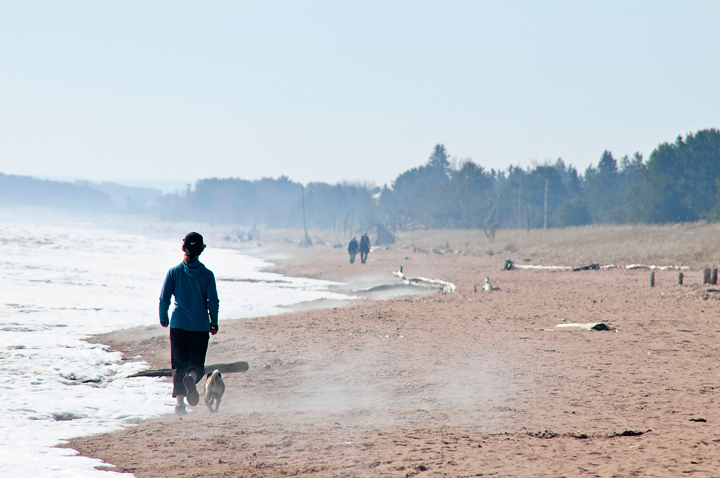 There were hikers, dog walkers and joggers on the beach as well as families with kids playing in the sand. Fog was rolling in off of the ice on the lake. 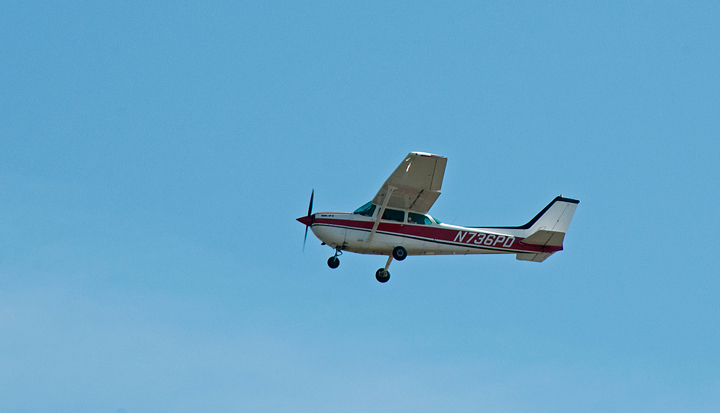 As we walked along we noticed several small planes flying out of Sky Harbor Airport. Apparently they were involved in flying lessons since they would fly to the Airport and touchdown and then fly off again. There was considerable ice just off of the beach. This had been pushed in when a violent storm hit the week before. 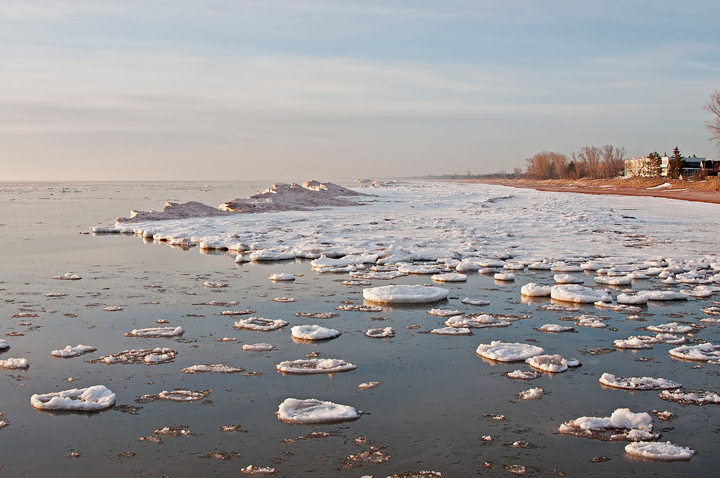 Winds were gusting at over 50 miles per hour and ice that was out in the lake was pushed into the beach. 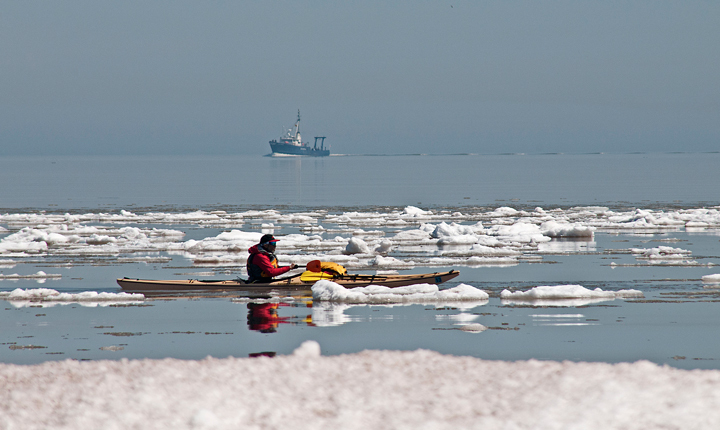 This kayaker was taking advantage of the ice to get some great photos. The Blue Heron is in the background. 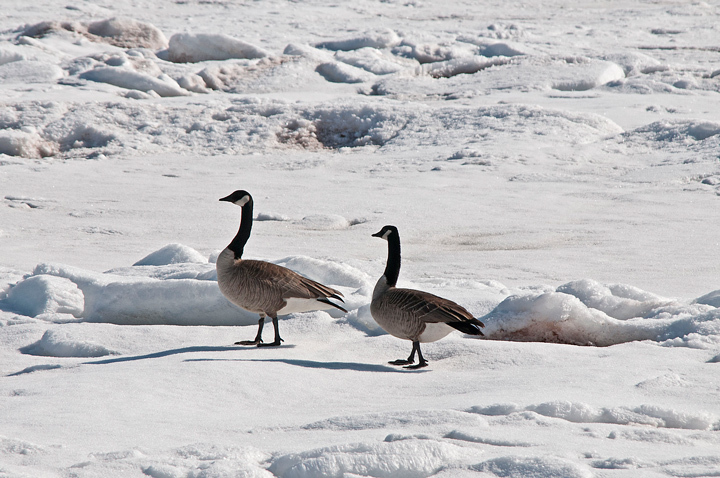 There were geese out on the lake but these two were walking along the ice next to the beach. All along the beach people have erected structures with the driftwood from the beach. This one was a little more elaborate that most. 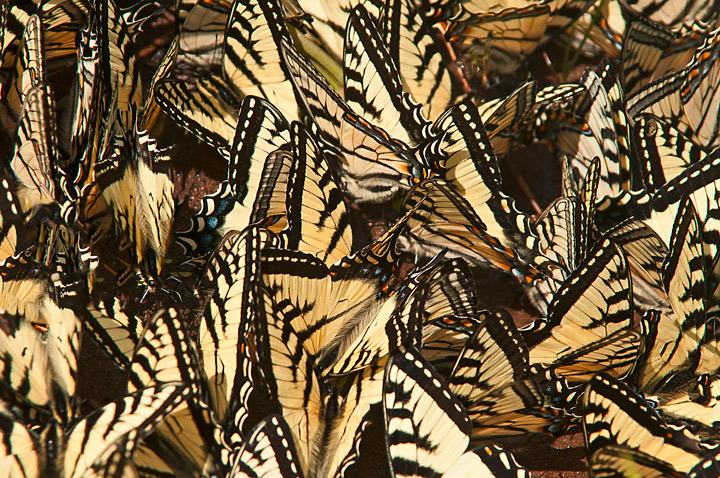 I have a featured photo in the July/August 2012 issue of Wisconsin Trails. The accompanying article is entitled “Flow Riders” and is about the Wausau’s hosting of the International Canoe Federation Junior and U23 Canoe Slalom Word Championships on July 10-15, 2012. 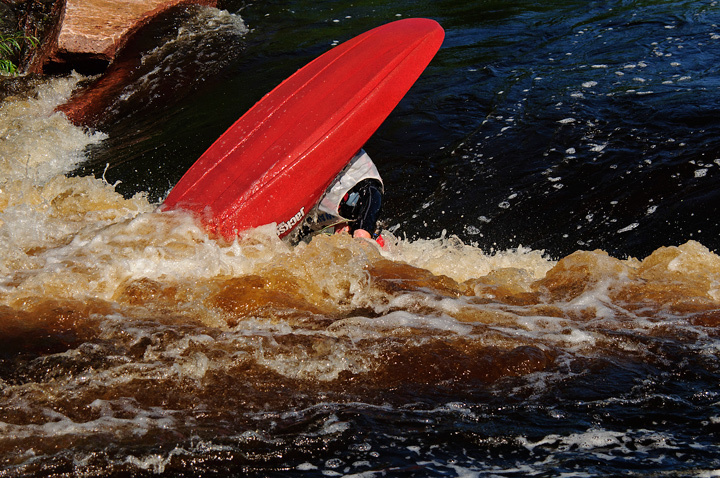 Wausau has an outstanding whitewater course right through the heart of town. If you are in the area it is an event that is worth attending. 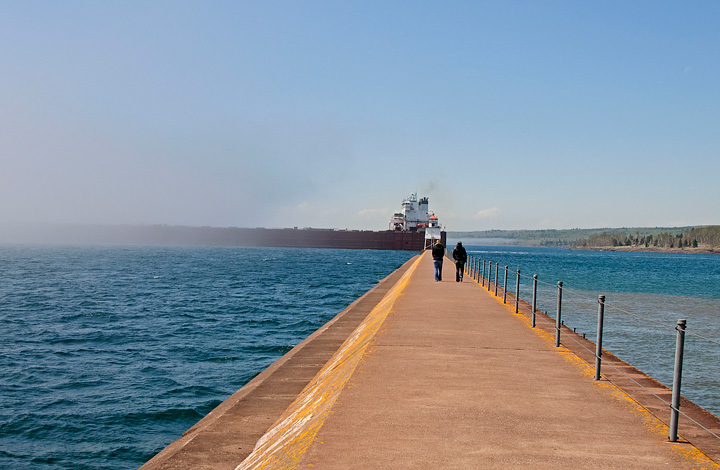 This past weekend we made our spring trip to the Minnesota North Shore. We like to make the trip in early June just before the motel rates go up and before everything is overrun with tourists. It sometimes makes it difficult to photograph without getting lots of people in the photo particularly if you are photographing within a short distance of the road. 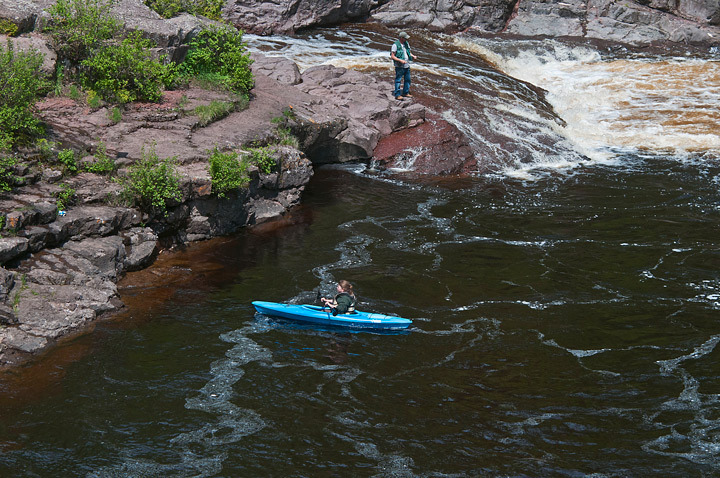 We were a little surprised at the number of folks at Temperance River. 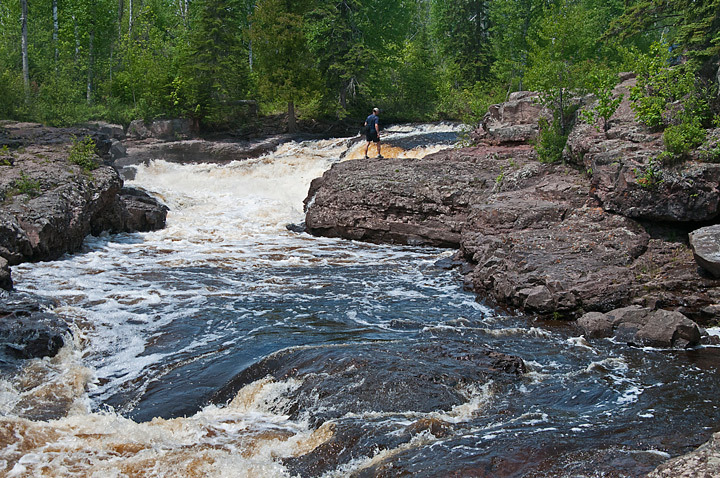 I usually have a difficult time photographing at the Temperance River because it seems that every time I drive past it is a beautiful day with lots of sunshine. My preference is to photograph waterfalls on an overcast day without the high dynamic range of bright sunlight and canyon shadows. On this particular day we had limited time so I decided to take some freehand photos and leave the tripod and filters in the car. As I mentioned there were quite a few people along the trail and we seemed to walking along in a crowd so it was a little difficult to photograph without getting people in the photos, usually the same people. 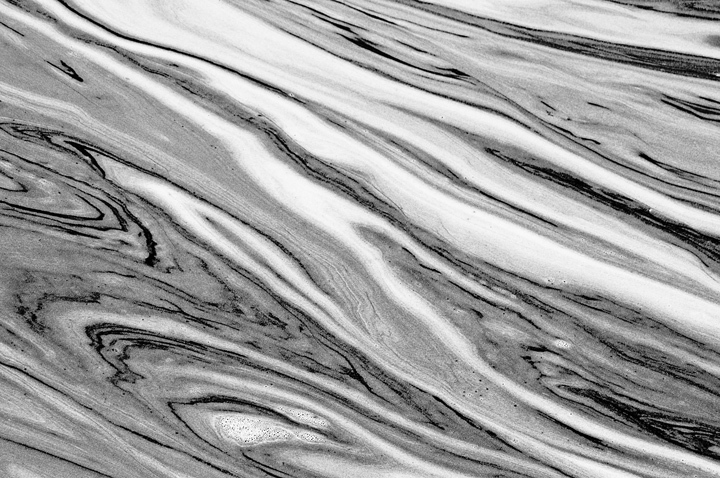 There was quite a bit of water flowing in the river. When we walked down to the mouth of the river there was someone fishing. He must have been a beginner because his line was always getting tangled up. We also encountered a kayaker who paddled up the river and landed. 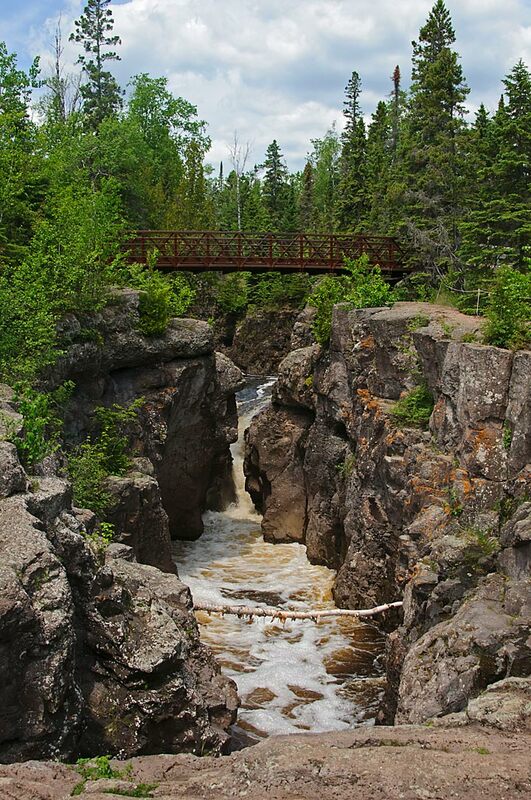 More photos from The Temperance River State Park can be found on my website. A couple of weeks ago may wife and I drove over to Wausau to check out the Midwest Freestyle Kayak Championships. 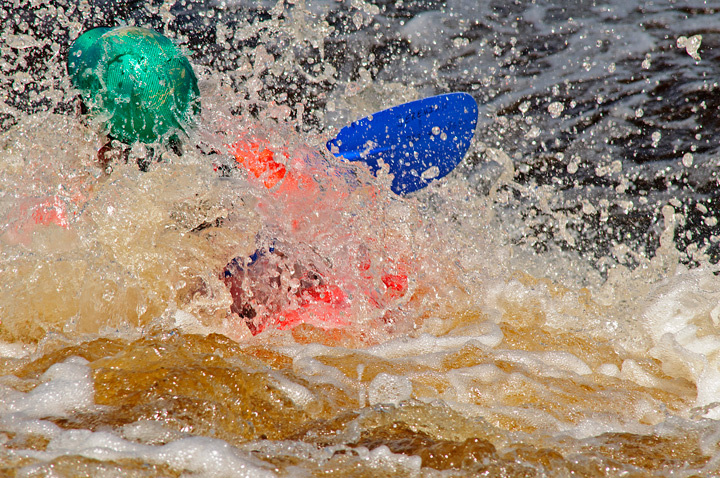 We had been to Wausau about 10 years ago to watch a Kayaking event and enjoyed it. Wausau has a fantastic facility for both the participants and the viewer. 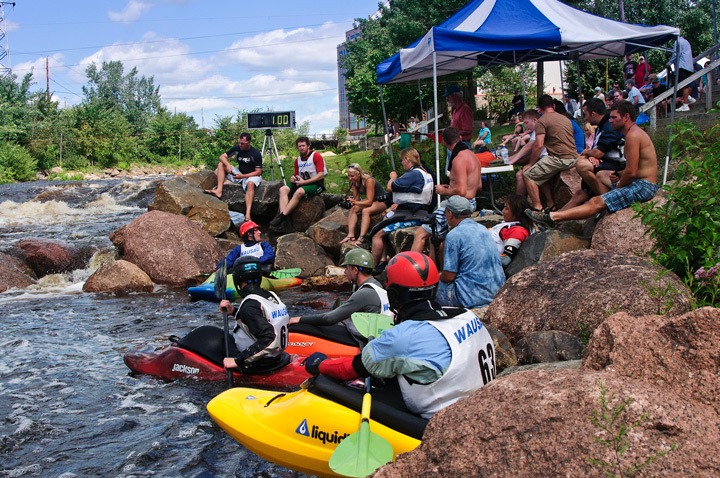 The Wausau Whitewater Park is located in downtown Wausau and offers a beautiful venue for watching events. Canoe and Kayak events are held throughout the year at the park. 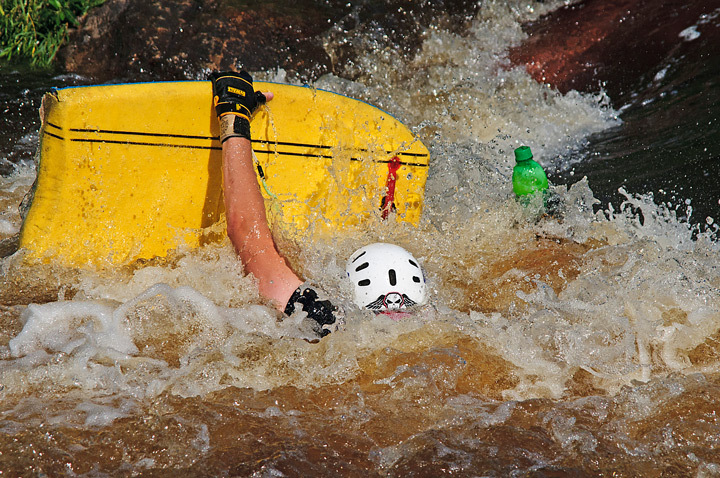 In the freestyle events the Kayakers take turns performing tricks at a single waterfall. The falls are divided by level of difficulty so the beginners perform at one waterfall and the experts at another waterfall. If you have the opportunity I would definitely recommend attending one of the events throughout the year. If you are interested in getting involved in whitewater kayaking you can also take lessons at the Whitewater Park. Between events we walked though the beautiful downtown area. The streets are covered with cobblestones and are pedestrian friendlily. We had lunch at a local eatery. It was a difficult choice between Greek and Mongolian but we chose the Greek place. From the lines it was clear the Mongolian was a popular local choice. More photos from the event can be found on my website.